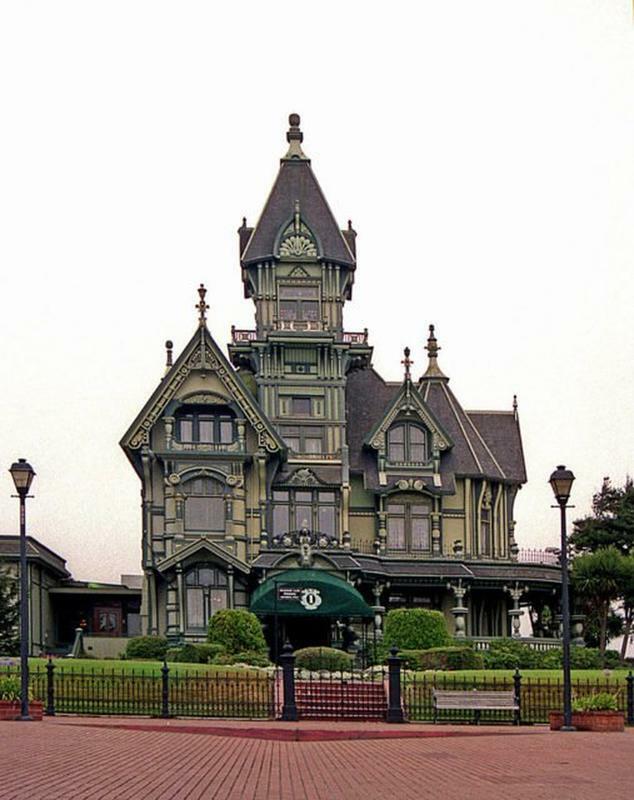 Originally the home of William Carson, one of Northern California’s first major lumber barons,the Carson Mansion is a large Victorian house located in Old Town, Eureka, California. 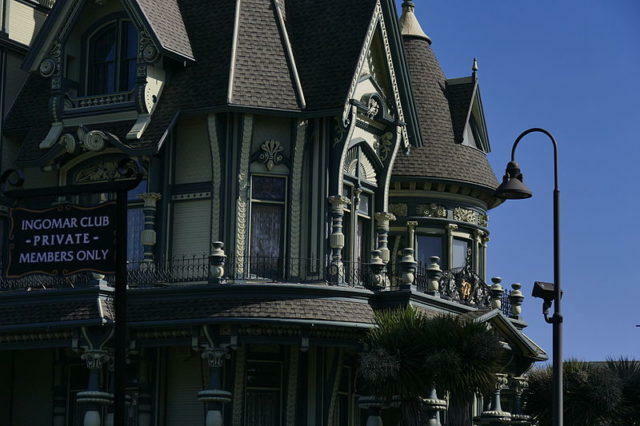 It is one of the most written about and photographed Victorian houses in California, and perhaps, in the United States. 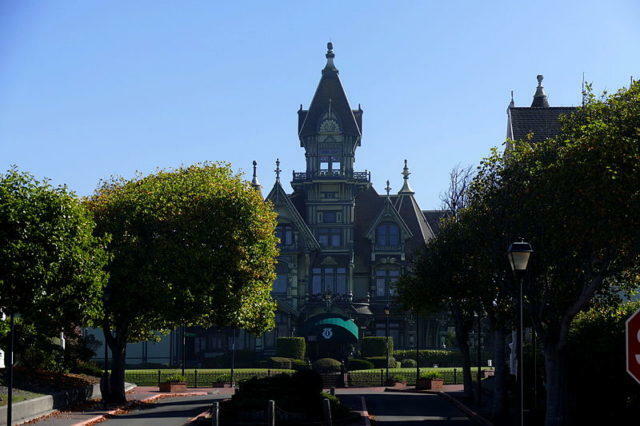 Since 1950 it has been a private club, the house virtually the same condition as when it was built. 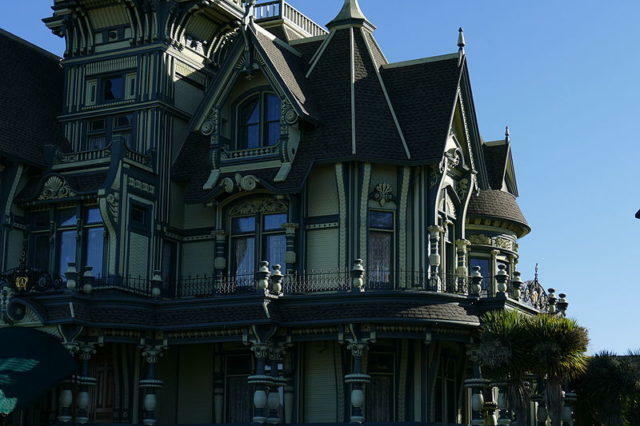 William Carson for whom the house was built, arrived in San Francisco from New Brunswick, Canada with a group of other woodsmen in 1849. 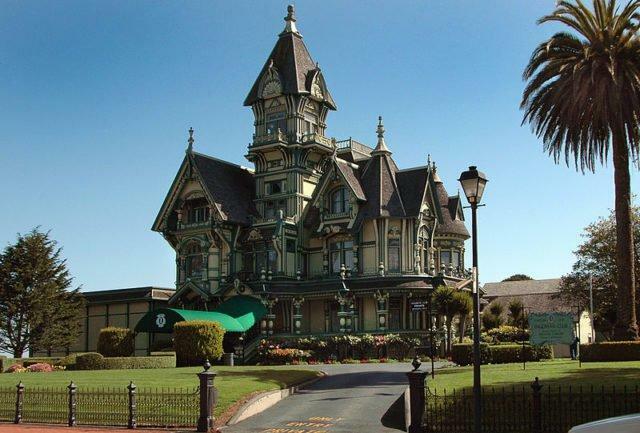 In 1863 Carson and John Dolbeer formed the Dolbeer and Carson Lumber Company. 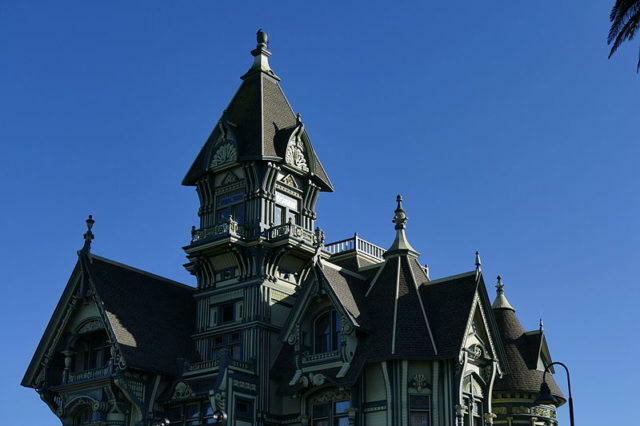 In 1884, on the eve of construction of the great home, the company was producing 15,000,000 board feet (35,000 m3) of lumber annually. The milling operations combined with additional investments as far away as Southern California and at least partial ownerships in schooners used to move the lumber to booming markets on the west coast and all over the globe, set the stage for the unlimited budget and access to resources the builders would have. Pacific Lumber Company purchased the company in 1950 and maintained milling operations at the original Humboldt Bay site, located bay-side below the house, well into the 1970s. Following the Carson family divestiture of remaining family holdings (including the home) in 1950, the family left the area. The building was purchased for $35,000 in 1950 by local community business leaders,and currently houses the Ingomar Club, a private club,which was named after Carson’s Ingomar Theater, itself named for Carson’s favorite play Ingomar the Barbarian. 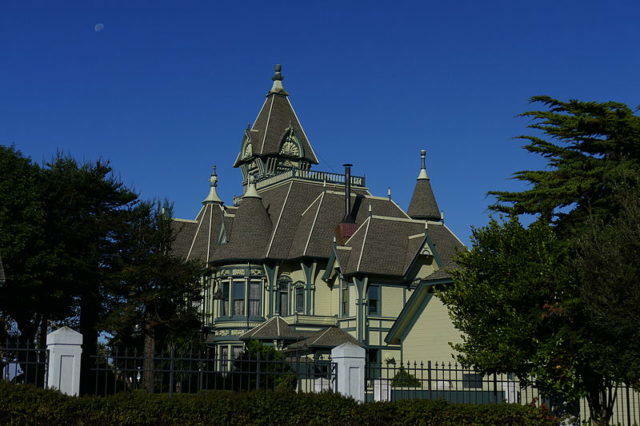 The house is a mix of every major style of Victorian architecture, including but not limited to: Eastlake, Italianate, Queen Anne (primary), and Stick. 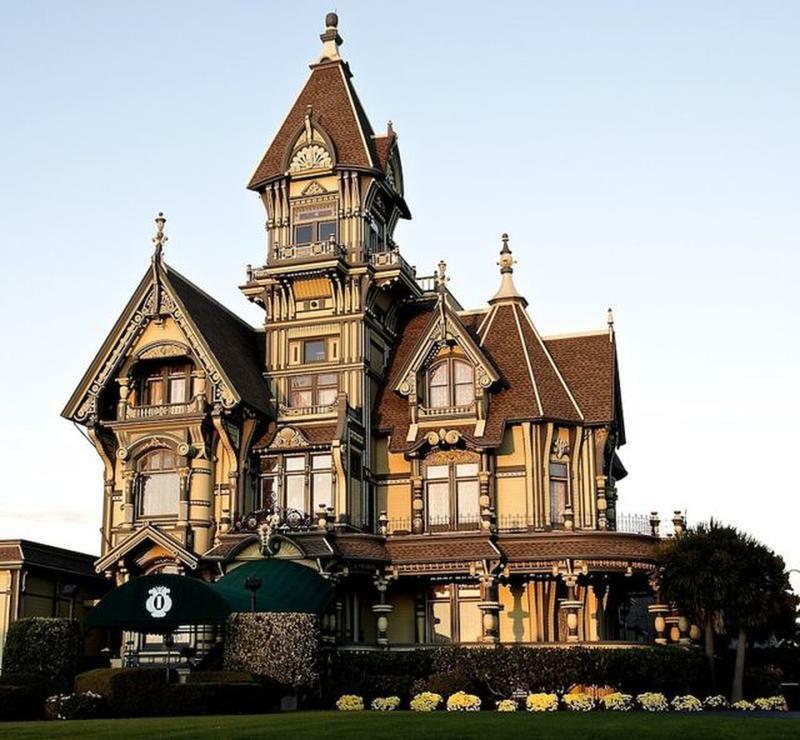 One nationally-known architectural historian described the house as “a baronial castle in Redwood…” and stated further that “The illusion of grandeur in the house is heightened by the play on scale, the use of fanciful detail and the handling of mass as separate volumes, topped by a lively roofscape.”The style of the house has been described as “eclectic” and “peculiarly American. 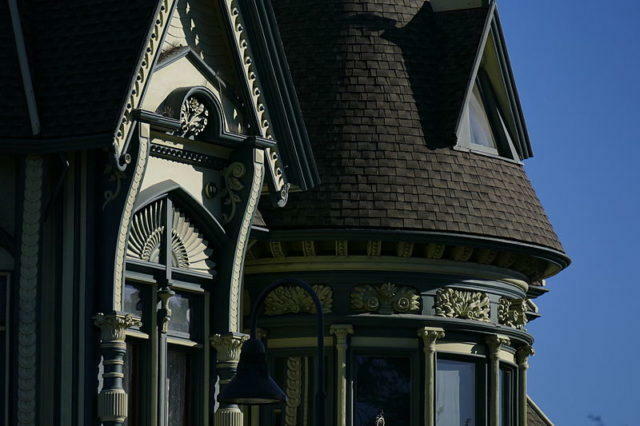 “Unlike most other houses dating from the period, this property always has been maintained, and is in nearly the same condition as when it was built. 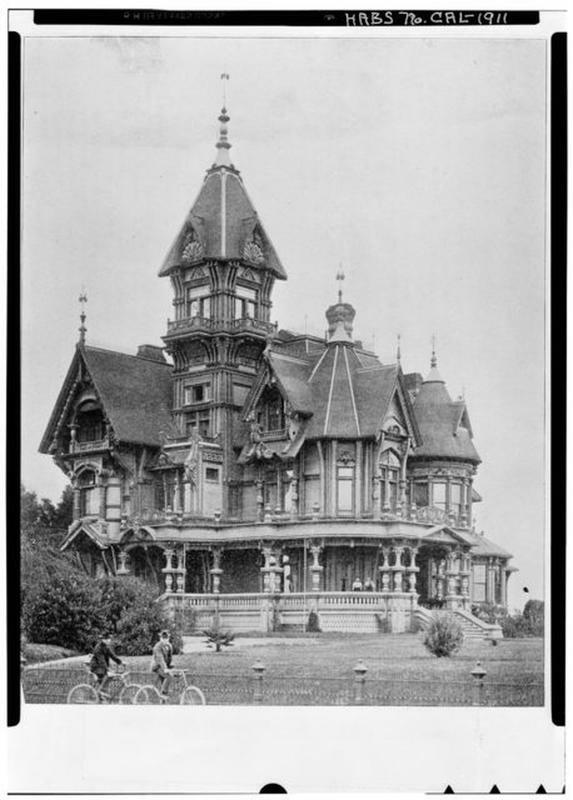 In May 1964, the house was included in the Historic American Buildings Survey (HABS) as catalog number CA-1911.This is the only official historical building listing of the house. 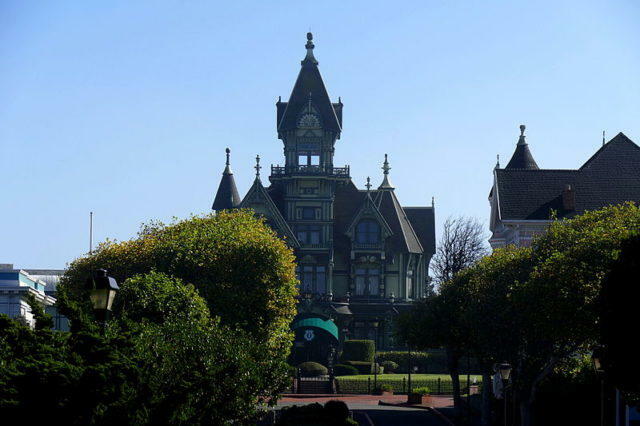 Although the historic house does merit National Register of Historic Places status, the private club has chosen not to apply for it.